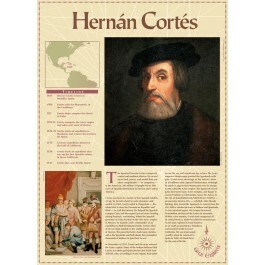 Hernan Cortes was a Spanish explorer who conquered central and southern Mexico. He ruthlessly conquered the Aztecs and seized more land, power, and wealth than any other conquistador in the Americas. 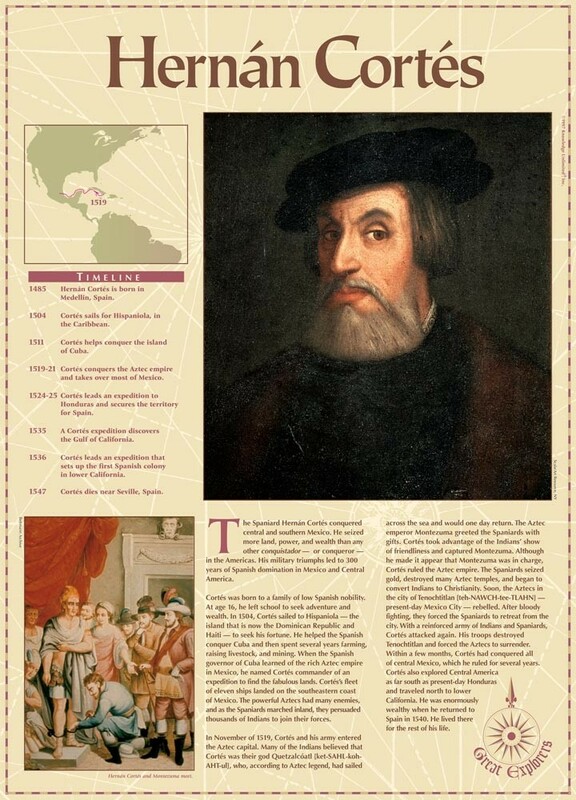 This educational poster of Hernan Cortes features explanatory text, a map and timeline, and beautiful art to introduce students to this famous explorer.